Cool is often hard to describe. The term cool is subjective. It is relative. It’s indefinable, really, and the kind of thing that you only recognize once you see it or experience it for yourself. Some things are automatically branded cool. Sometimes, cool is about excess. Other times, cool is restraint. Adding just a dab. Not too much. 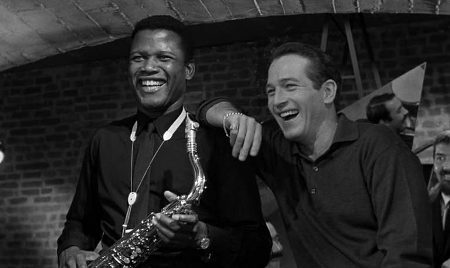 In Paris Blues, saxophonist Eddie Cook (Sidney Poitier) and trombone player Ram Bowen (Paul Newman) are two American expatriates living in 1960s Paris. Every night, they perform for black and white jazz aficionados seated side by side, bopping their heads and snapping their fingers to the duo’s infectious jazz riffs, something you wouldn’t normally witness back in America, where the tense racial climate have led many African-Americans, including Eddie, to seek refuge in Europe’s more inclusive hub. Ram on the other hand, enjoys his carefree lifestyle in Paris, and attempts to establish himself as a composer. The boys romance two American women, Connie Lampson (Diahann Carroll), and Lillian Corning (Joanne Woodward), in Paris for a two-week vacation, but soon enough, the strolls around Paris and quaint afternoon rendezvous must come to an end, and both Eddie and Ram have to decide whether to follow their lady loves back to the United States or stay in a country far more racially integrated and liberated than the home they’ve left behind. 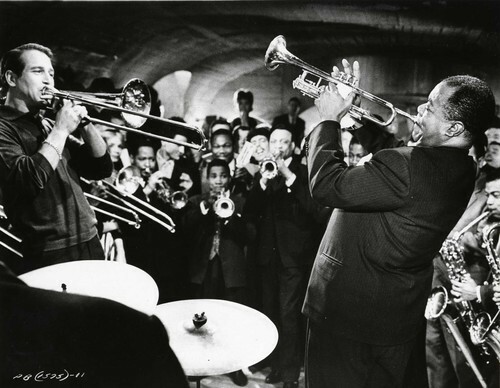 Besides the obvious cool factor of director Martin Ritt’s use of Paris as the backdrop for this romantic film, the impressive music score courtesy of Duke Ellington, and a cameo from Louis Armstrong as Wild Man Moore, riffing it with Ram and Eddie in a charged horn-blowing face-off at ‘Marie’s cave’, another facet of cool takes centre stage in this classic film. Paris Blues is a testament to the cool of a time when people frequented jazz clubs to actually take in the smooth jazz melodies, eyes fixated on the stage, entranced by the riffs of the horn. The jazz band is the focus, instead of the background music to people’s chatter. There’s nothing cooler that a room full of jazz lovers hypnotized by the band onstage. What else is cool? Eddie and Ram’s jazzy parlance. “Honey, I live music, morning, noon, and whole night. Everything else is icing on the cake, ya dig?” says Ram to an inquisitive Lillian, who’s just discovered his original piece of music above the piano. When Connie brings up the race issue with Eddie, he fires back, “Are we gonna stand here all day discussing this jazz?” In a modern film, such jazz man talk would seem trite, but it works in this film, where jazz is not only music, but a way of life for both Eddie and Ram. 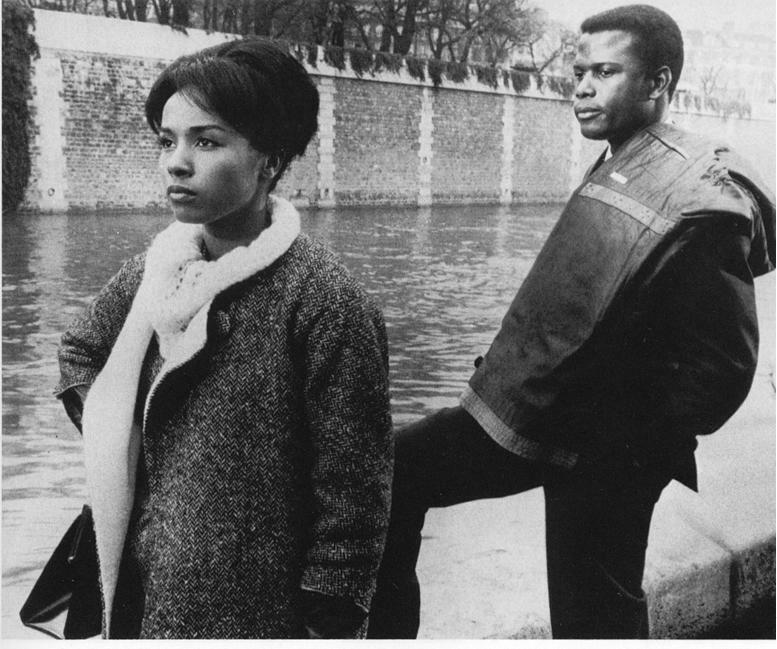 On the sartorial side of things, Connie Lampson (played beautifully by a young Diahann Carroll) is the picture of sophistication in a grey shearling coat. That coat is a star all on its own, but sadly doesn’t get enough screen time. Finally, Ram particularly oozes cool with his understated bling: a subtle gold pinky ring and bracelet that add just the right dab of sophistication without being too gaudy. Modern men can take a cue from this leading king of cool. Ain’t nothing cooler than a little bling, so long as your pinky ring isn’t as big as your fist, ya dig? Unfortunately, Paris Blues falls flat in its attempt to tackle two serious issues, drugs and racism, but perhaps understandably so for the latter, which was probably too hot a topic at the time. 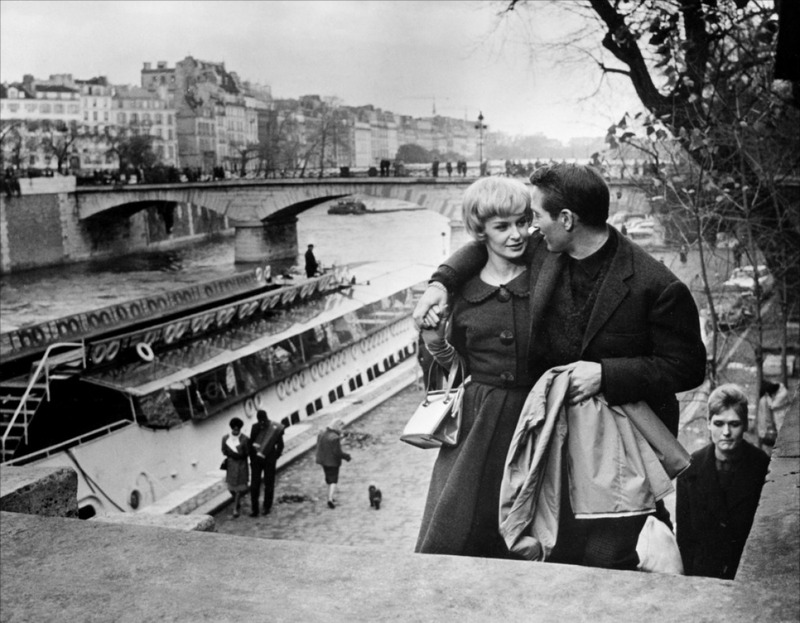 But where it lacks depth, Paris Blues makes up for with great music, cool cats, and cool threads (the patrons of the jazz club provide plenty of inspiration.) A must-see for jazz lovers and style connoisseurs alike. TV is for Dummies…Or is it? This blog sometimes features photographs other than the ones I have taken myself. These photos in question are for illustrative/discussion purposes only, and not for commercial use. Le Monochromatic · Classic, understated chic, une couleur à la fois.